A new European commercial service is allowing researchers, educators, universities and companies to run their experiments on the International Space Station. 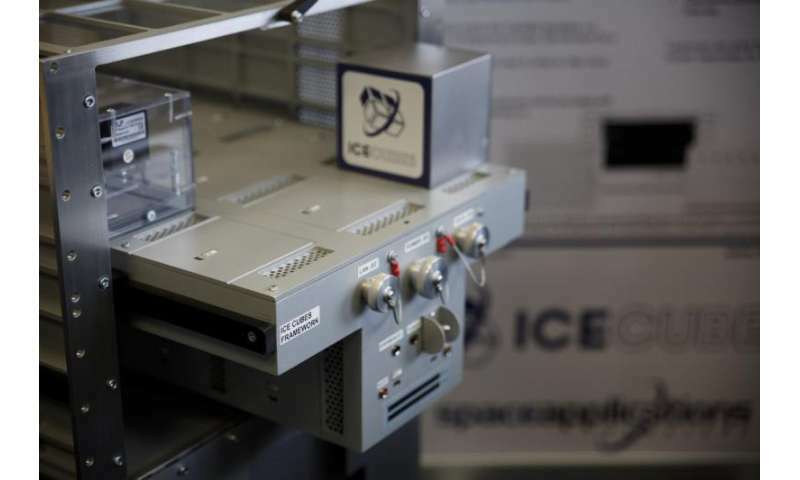 Dubbed Ice Cubes, budding space researchers can build their experiment in blocks of 10 x 10 x 10 cm that slot into a dedicated rack on ESA's space laboratory Columbus. Similar to small 'CubeSats' that orbit Earth, Ice Cube experiments can be made from 'commercial off the shelf' products and be stacked together to allow for larger experiments if needed. The Ice Cube unit in this image is installed on the experiment rack in a full-size mockup of the Columbus laboratory at ESA's technical heart in the Netherlands. Due to their high degree of modularity and use of off-the-shelf subsystems, Ice Cubes projects are 'plug and play' and can be readied for flight more rapidly compared to traditional space experiment schedules. The first Ice Cubes will be running next year. The service is being offered by Space Applications Services in partnership with ESA, ensuring years of spaceflight know-how to help researchers, educators and companies develop and build safe and useful experiments – including a discount for educational users.